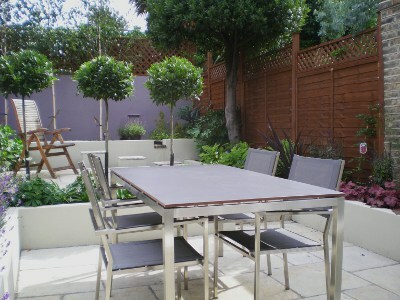 After extensive house refurbishments the next phase of development was the re-design of a very tired and overgrown garden. The client brief was to include : seating for 6. 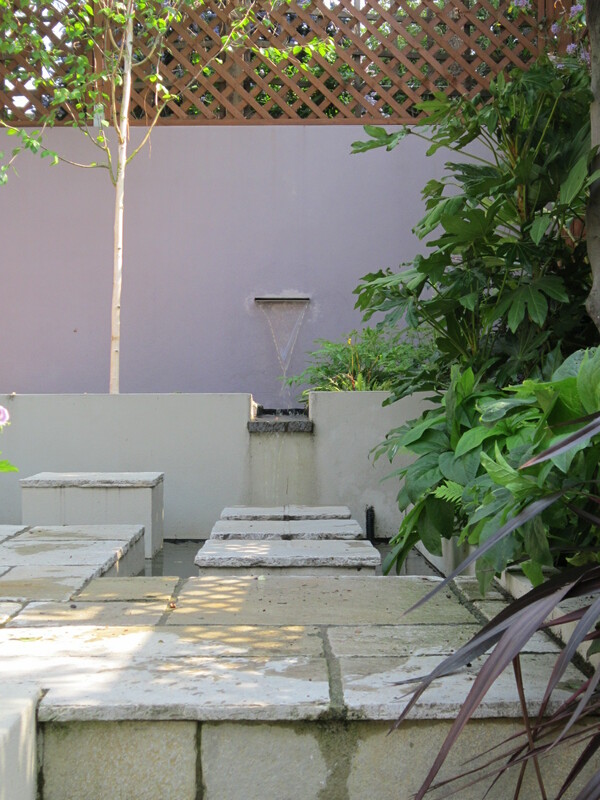 An area for sunbathing and reading, water feature and plenty of planting space as the client was passionate about plants. 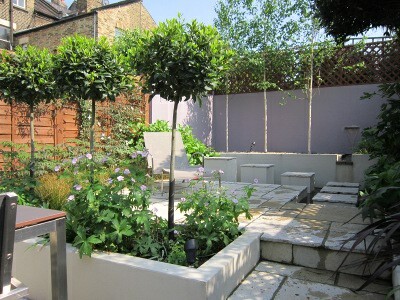 Rather than level the 4 distinct changes in elevation the garden was design to make use of these. 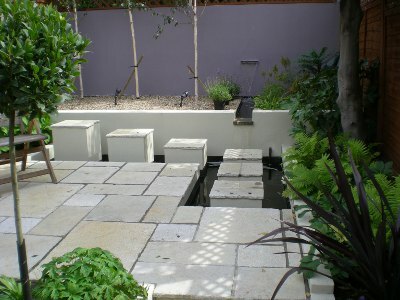 Changes of level in a design make a garden design interesting to walk through. 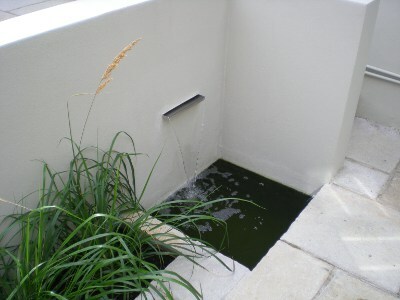 The garden was designed with the illusion that water was running from the top level, along a rill, into a pool with floating steps and then magically appearing at the lower terrace from a retaining wall. 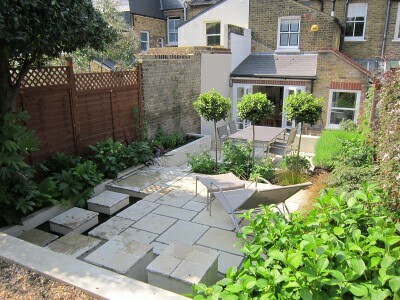 The second terrace was designed for seating for 6 with steps leading up the sun bathing area. From here steps lead up to an area which will be used for reading and quiet contemplative thought.